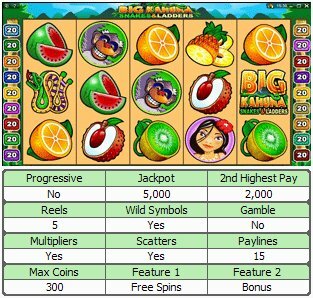 Overview: Big Kahuna - Snakes and Ladders is the next exciting installment to the Big Kahuna Video Slot, and the Microgaming portfolio. Help Duzi in his very important Quest for Big Kahuna's Golden mask. Find 3, 4 or 5 scatters and enter the realm of snakes and ladders where 3 shrunken heads are there to tease and taunt - don't take them too seriously, their job is to antagonise! Your mission is to progress from level to level using the ladders as a booster, but watch out for the sneaky snakes-.they will only take you down. 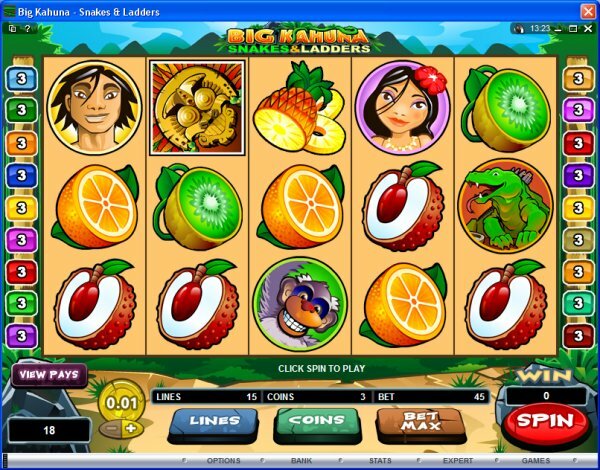 This Snakes and Ladders bonus is sizzling with surprise, entertainment and action! 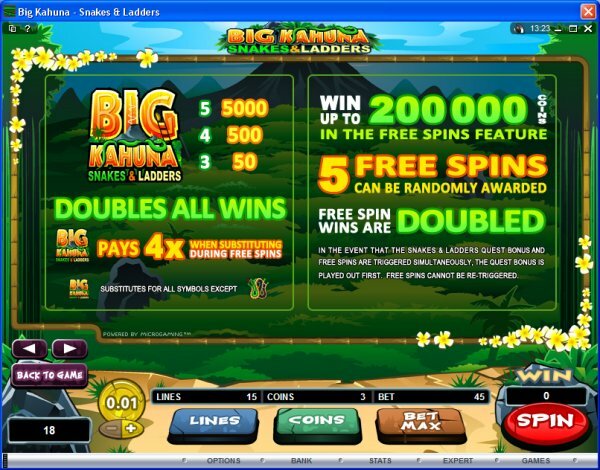 Watch out for the random surprise of 5 Free Spins where all wins are doubled, and find the Big Kahuna Wild which doubles when it substitutes and win up to 4x during free spins! 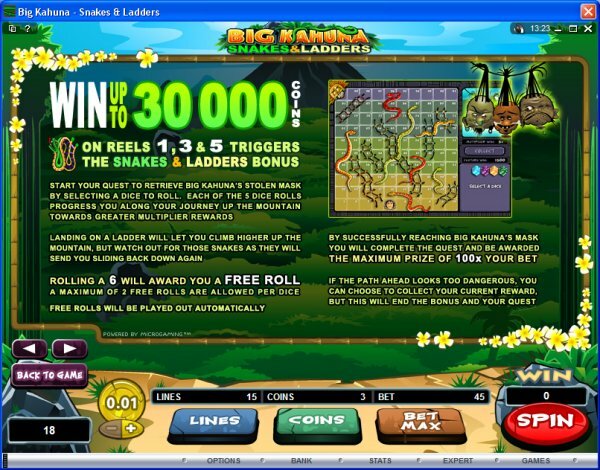 Begin the Big Kahuna - Snakes and Ladders adventure now and be richly rewarded! Similar Slots: If you like Big Kahuna : Snakes and Ladders, you might like these other 5-reel slot machines: Crazy 80s, Fortune Finder, Franken Cash, Monster Mania, Snow Honeys, TallyHo.